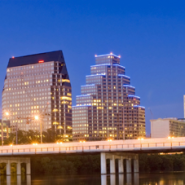 Incorporated in 1993 and located in Austin, Texas. We are one of the oldest exchange accommodators in Texas with the experience and resources to facilitate exchanges in all 50 states. We have represented thousands of satisfied exchange clients. To protect client funds entrusted to us, we offer a Qualified Escrow Account, utilize a segregated accounting system and carry errors and omissions insurance. We have a Certified Exchange Specialist on our staff. All staff members are highly trained with extensive experience in all types of exchanges from basic forward exchanges to construction exchanges, reverse exchanges, and exchanges of mineral interests. We can provide a one-stop, turn key service from help in determining whether to exchange, to the actual closing of the purchase and sale of property. We have a long standing retainer relationship with a law firm and, unlike may intermediaries, 1031 Exchange Corporation has immediate access to qualified legal counsel with extensive experience in exchanges and the practice of real estate law. Many exchanges are routine; however, when additional advice is needed, it is readily available. 1031 Exchange Corporation is a member of the Federation of Exchange Accommodators (FEA), which is the only national organization for the exchange industry, formed to promote ethical standards of conduct and innovations in exchange practices. We provide expertise and guidance to get you through the exchange process in compliance with applicable tax laws. An intermediary must have a working knowledge of the tax laws, regulations, IRS rulings to keep your exchange within the law. We serve as a trustee for the taxpayer and hold exchange funds until the exchange is completed. An intermediary should have experience in holding and safeguarding trust funds and have established financial controls. An intermediary is in almost constant contact with other parties related to the exchange and must have good communication and coordination skills. An intermediary without experienced staff with good communication skills will quickly become a liability in an exchange. 1031 Exchange Corporation has the experience, expertise and communication skills necessary to get your exchange done right.